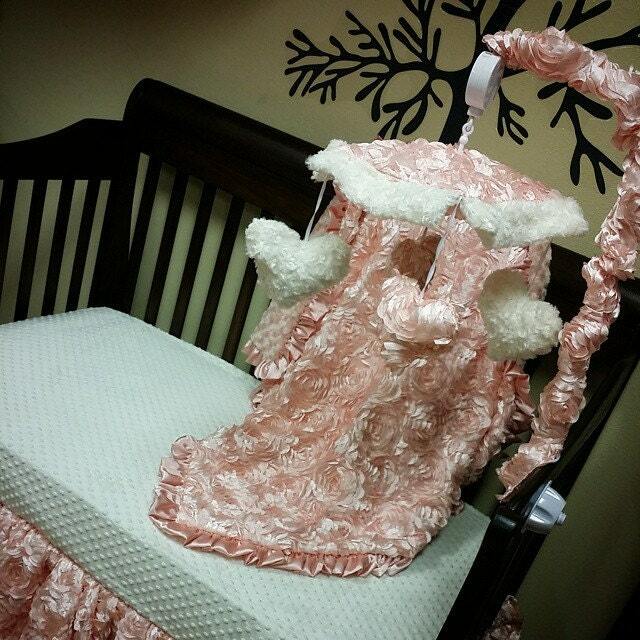 Baby Pink, Satin Rosette, Crib Mobile. Custom your own. You choose fabric. 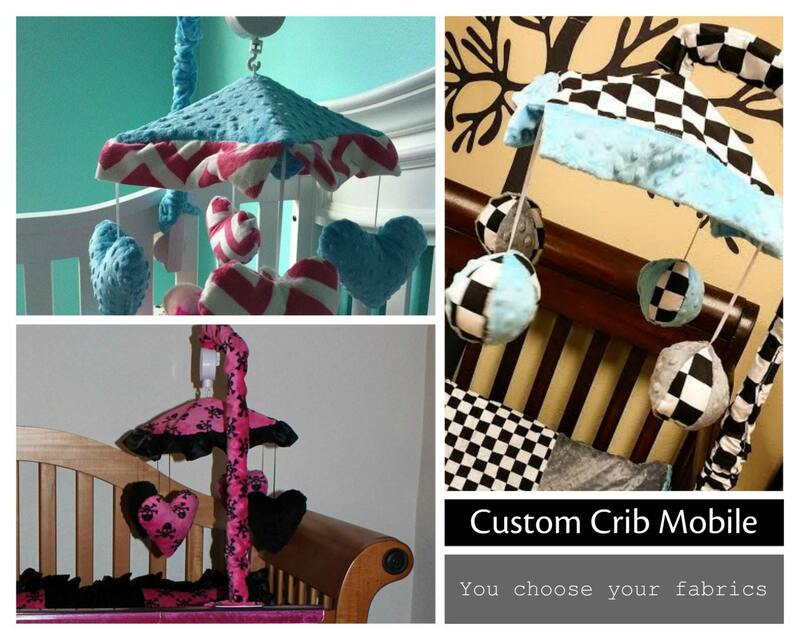 Use this listing to purchase your custom crib mobile. 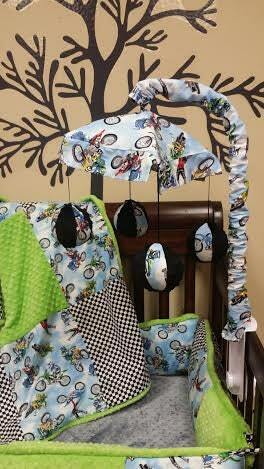 This is a universal frame that will attach to most crib sets. Mobile plays brahms lullaby. We usually make the girls themed mobiles with hanging hearts. Boys have the round balls. 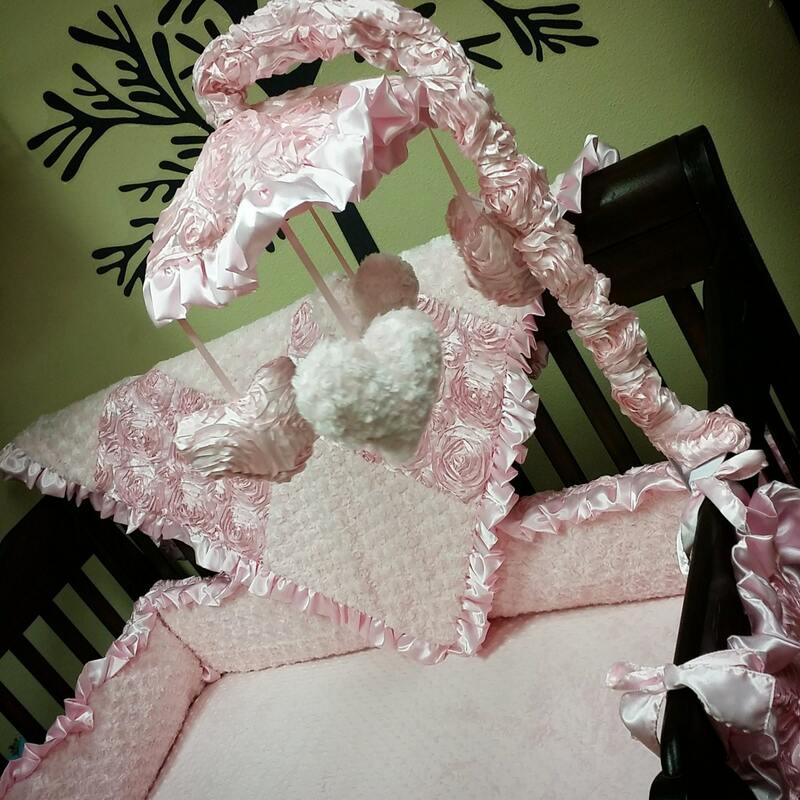 You choose the fabrics to match your bedding, we will make the cover and ship with the frame.